Search Results for "coco pj"
Bedtime staples become daytime favorites, as seen in Elle and O magazine. 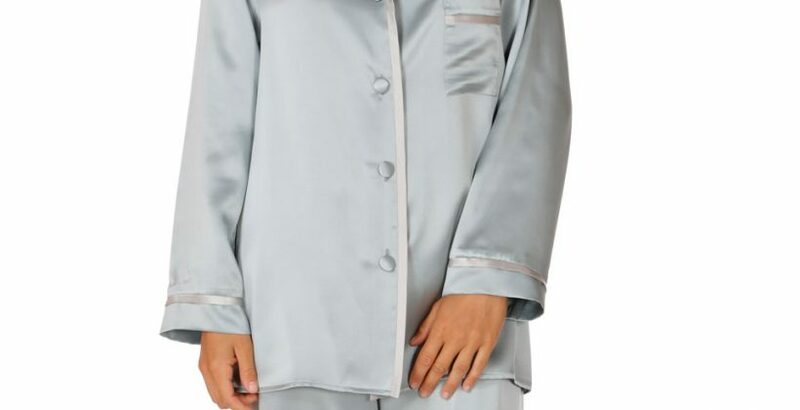 These beautiful silk charmeuse pajamas are tailored to be both elegant and comfortable. The pant waist has elastic in the back and a tie front. 100% Silk. Made in Canada. Jane Fonda once again looks smashing in Christine Silk, this time wearing our charming Coco PJ. The Coco PJ is always available in a rotating selection of seasonal colors, but Jane is seen in our classic shade of Robin’s Egg Blue.